ALL MAGAZINES ARE $7.50 POSTAGE PAID ANYWHERE IN THE UNITED STATES. FOREIGN MAIL WILL REQUIRE ADDED POSTAGE. All magazines are complete as described and in excellent condition. In most cases, only one copy of each magazine is available. Order by item number. All payments must be made through PayPal, unless other arrangements have been made in advance. Address questions and foreign postage inquires to Alan Hanson at alanh111@comcast.net. 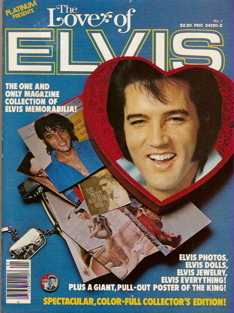 Item #M101: “The Love of Elvis” | Platinum Publications | 1979 | 82 pages | Theme: Elvis memorabilia | includes pull-out poster. 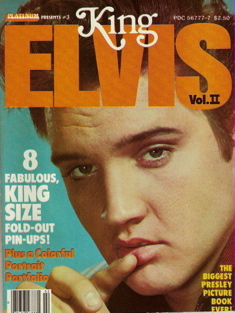 Item #M102: “King Elvis Volume II” | Platinum Publications | 1979 | 16 pages + 8 fold-out color posters | Theme: Elvis photos. 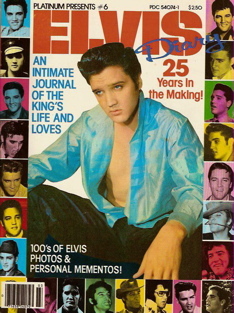 Item #M103: “Elvis Diary” | Platinum Publications | 1979 | 98 pages | Theme: Elvis biography and photos. 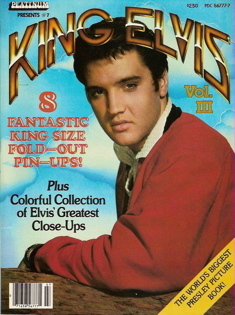 Item #M104: “King Elvis Volume III” | Platinum Publications | 1980 | 16 pages + 8 fold-out color posters | Theme: Elvis photos. 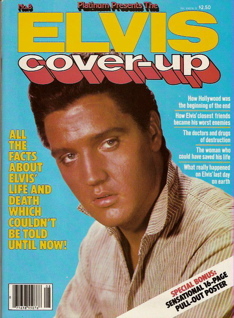 item #M105: “Elvis Cover-Up” | Platinum Publications | 1980 | 66 pages | Theme: Elvis biography: 15 articles | includes 16-page pull-out poster. 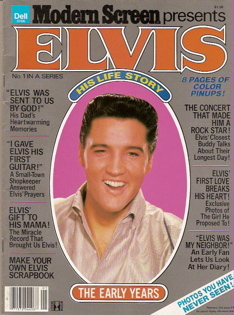 item #M106: “Modern Screen Presents Elvis the Early Years” | Sterling Publications | 1979 | 66 pages | Theme: Elvis’s life story: 11 articles | includes 8 full-page color photos. 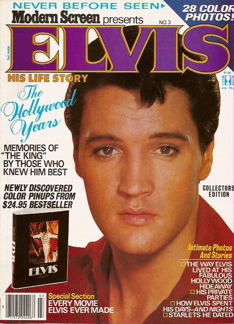 item #M108: “Modern Screen Presents Elvis The Hollywood Years” | Sterling Publications | 1979 | 66 pages | Theme: Elvis in Hollywood: 14 articles | includes 15 color photos. 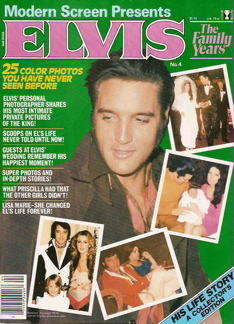 item #M109: “Modern Screen Presents Elvis The Family Years” | Sterling Publications | 1979 | 64 pages | Theme: Elvis’s family life: 8 articles | includes 25 color photos.